Dating can be hard once you have kids. Unless you have family who can mind them, you’re looking at babysitting costs on top of the date itself. These costs often aren’t practical for the average family, but ‘dates’ and time with your significant other are important for your relationship. Or if you’re single and want to get to know someone, you need to date. Check out some free and cheap date ideas below. Be aware, we do use affiliate links here for products or services we personally use and recommend. You can check out our full disclosure here. I prefer dates where I am out doing something, trying something new and not at home. Many people I talk to feel the same. You’re at home all day with the kids, or work from home etc and want a change of scenery. I do share some at home dates further down, but first, here’s out of the house options. Check out events in your area through Facebook, Meetup or your local gig guide to see what is happening, what free festivals and things are on then book one in. Being in Melbourne, there is always live music and festivals happening, so this has been an easy one for me. Local comedy clubs often have discounts on Groupon such as two for 1 tickets, free nights or free drinks with a ticket. Many are under $15 normally and the big, headlining comedians from around the world test their new material in small clubs so not only do you get new comedians, you can get some of your favourites! Your local pub or club probably has a trivia night. Get a team together with other couples or head out on your own. You never know, the prize could outweigh any cost if you win too! Pack a picnic and head to the park, the river or somewhere else nice to enjoy it. Here in Melbourne, people often have picnics including wine at local parks. Check the weather before you select this option though! Take it in turns, one night do your hobby, the other night your partners. Go fishing, shopping, do some art, whatever your hobby is, share it with each other. You don’t have to do it regularly, but it can help bring you closer and understand each other more. I did a cooking class in Vietnam with my then boyfriend which was surprisingly fun. It was not something he was overly interested in initially then he ended up being amazing at flipping the pancakes. We still reference and laugh about some of the stuff from that class. Is there are type of cooking you’ve always wanted to learn? Or maybe a cocktail class? I did one for a networking event and had loads of fun. Look up some options online or check out Groupon. I’ve found heaps on there. Research pretty, historical or interesting hikes in your area then head out and do them. Take some snacks, water and your camera. not all hikes and bushwalks are strenuous and so far I’ve enjoyed all the ones I’ve been on. Many museums have free entry or cheap entry plus visiting exhibits which have a fee. Check out your local one or look for one that specialises in an area you are interested in such as fashion, history or the culture of certain areas etc. Food truck hot spots are popping up everywhere. Head to your local one, pick a few treats to share and find your new favourite meal. Or find out when a food truck festival is on in your area and head to it. Take your cameras and explore an area, taking pictures of the scenery, each other and enjoy the moment. Don’t worry about posting to social media right away, just get the pics you like, edit them at home then upload or print later. Go out or stay in with other couples as many places have discounts for groups. Do drinks or a potluck style dinner then play games like cards against humanity for loads of laughs. Dinner, drinks and movies add up quickly. Head to a new bar in your area and try one of the drinks only instead of everything. It’s not the cheapest option, but cheaper than going the whole hog and still fun. When is the last time you went swimming together? Head to the beach, river, lake or pool near you to go swimming, diving and have fun. Have you ever done the touristy things in your city? Walked around and explore all it really has to offer? I have lived in 4 states and did the tourist thing each time I moved. Often we take for granted what’s in our area because it’s ‘there’ and you can do it any time. Pick some and do them on a date. Check out your local tourism board as they have lots of options and many are free or locals sometimes get a discount. The early shows are often cheaper than the evening shows but just as fun. Some even offer rehearsal tickets at a discount while they practice as well. Also, it might be easier to get a friend or family member to watch the kids since it’s an early one. When is the last time you hit the arcade? When you were a teen? Pick a budget, then head out and play all those games you used to love. Most guys I know love the opportunity to play games and while you might look like big kids, it’s lots of fun. I mentioned a cooking class, but what other things have you wanted to learn? Find out if there are classes available in your area you could both attend. Many dance classes offer a free first class as do various martial arts groups. This can be a great way to find a hobby you might want to take up as well. Grab a basketball, head to your local court and play a game of basketball, or tennis or any other sport that you can do one on one. Cheaper than professional games, but still fun. Head to a local club and watch them play – football, cricket, ice hockey, netball, whatever sport you are into you should be able to find a game to watch. Professional games have discounts and special offers at times too or memberships can make the cost lower if you love a team and want to go regularly. While my preference is to go do something, home dates can be fun and sometimes it is all you have the budget for. Pick a show that will be a show you watch together as a sort of date night. Be careful you don’t get in a rut with opting to just watch Netflix all the time though. If you haven’t used it before, the first month is free. We did this one night and my kids loved it. They helped cook, set the table, picked music for us and giggled being our waiters. Not the same as going out and having your own space, but it can be fun. I remember doing it for my parents as a kid and had a blast. You could even have the kids create menus, plan the meal etc as well. Uno, board games, cards, whatever games you enjoy, have a night playing them. Either do it for fun or up the stakes and put down bets to add to the competition. If you don’t already have Nerf Guns, why not? They are so much fun. You can set it up without your partner knowing and leave a note with a nerf gun on the bench when they get home for ‘game on’. Have a dinner at home, but do one of those activities like the 36 questions that lead to love everyone was doing a few years ago. Switch off your phones, the TV, computers, all technology and do things together. Ideally, you should be doing this on dates anyway, but sometimes we need a little prompting. Play games, have a candlelit dinner, give each other a massage or do something you both enjoy. Spend quality time together. Look after someone else’s kids one night and they look after yours on another. I’ve done this everywhere I’ve lived for both work and being able to date. Either as your own or hire one for the night. If you are hosting an au pair or demi pair you need a spare room and with au pairs you need to pay them. They assist with childcare and things during the week for an agreed amount of hours. Demi pairs are free because you provide room and board for up to 20 hours of care. Previously, whenever I needed a sitter, I have asked in Au Pair groups on Facebook, I am able to check references and always have numerous people interested. Living in Canberra, I relied heavily on my family. I’m fortunate to come from a large, supportive family. While you probably can’t get them to sit all the time, every now and then they usually don’t mind. i now live across the road from an elerly couple who want my kids all the time. They beg me to have them so it works out well! In my area it’s $20 to $30 per hour for a sitter. Not a cheap option for most, but worth it. You can find sitters through Facebbok, Gumtee, friends recommendations and of course, babysitting agencies. 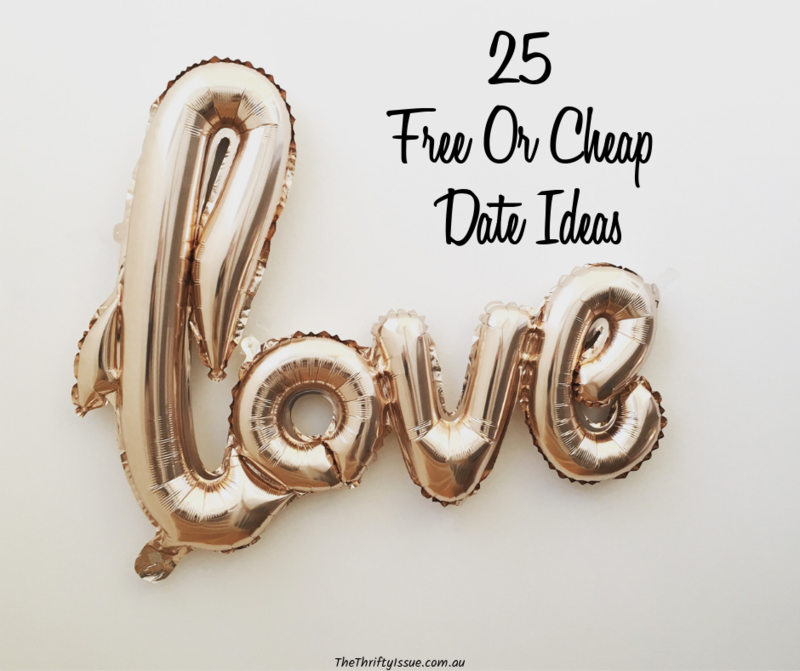 What free and cheap date ideas would you add?